WHILE the MDC was painting the whole of Harare red, carrying the placards of regime change in 1999, organisers of Harare International Festival of the Arts (HIFA) were on the other hand introducing an all-Western festival at the Harare Gardens. The parallels were too apparent to ignore. On paper, it was a ‘coincidence’ that the opposition MDC was formed the same year HIFA held its debut festival. Without doubt both the MDC and HIFA presented a powerful and colourful entrance into the country’s socio-political scene that was anchored by serious funding to initiate the regime change agenda. Unlike the MDC which has since floundered, HIFA went on to become one of the biggest festivals to be held in the country. Founded by Manuel Bagorro, who is also the artistic director of the festival, HIFA is now one of the major festivals on the continent. Its glitz and glamour was surrounded by performances which were purely Western while it also became popular for bringing the crème de la crème of Africa and the world to Zimbabwe. Some of the artistes to grace HIFA during its peak were not only popular but are regarded as the most expensive artistes in the entertainment industry. It is not only the performances that revellers look forward to at HIFA, it is the energy, talent and the instruments; some so huge and others tiny but producing a magnificent sound. At one of the press conferences held prior to the just-ended edition of HIFA, Bagorro highlighted that as organisers, they were interested in choosing not only beautiful, but exciting artistes who could deliver. “We also want artistes who are interested in connecting, communication of profound types and interested in collaboration,” he said. Through its hefty funding from local and international sponsors, in 2011, the artistic director, Bagorro, even managed to take some youths to Serbia where they were trained to use social media to effect regime change in Zimbabwe. However, it seems the festival is slowly losing its steam. This year’s just-ended six days of HIFA is testimony to that. For one who is a keen follower and attendee of the previous editions of HIFA, it was easy to notice that there was nothing new or exciting. It was primarily a repeat of the previous editions of the festival. Eighteen years after its inception, the six-day festival is still ‘celebrating’ arts in the same venue, Harare Gardens. The difference is that, the festival no longer has the glitz and glamour which accompanied past editions. Many would agree that despite being disturbed by the rains, the turnout of revellers was low in the first four days of this year’s edition. This edition of HIFA was not only marred by the rains but presented artistes who have now become regular performers at the festival. 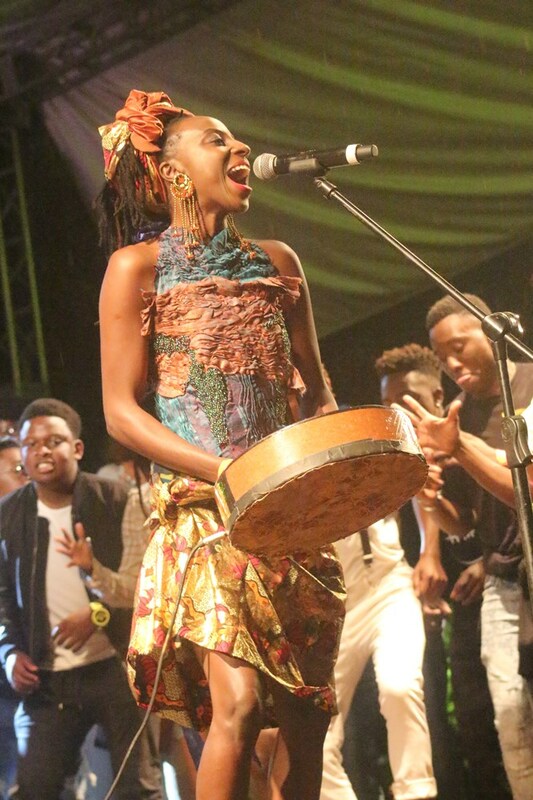 Again, Zimbabwe’s mbira songstress Hope Masike was given the opportunity to perform at the opening and closing shows which are a major attraction of the festival. Despite having phenomenal talent as a female musician in the country, Masike’s regular appearance at HIFA is becoming ‘monotonous’. Last year, she was also given the opportunity to grace the opening alongside the legendary Oliver Mtukudzi while in 2015 she also shared the same stage with Salif Keita. Though the organisers tried to spice up the performances with interesting things, some of the artistes could not impress. Masike might be one of the best female musicians in the country but featuring in a number of HIFA shows might seem like there are no other local female musicians who can deliver at the festival. The local acts at HIFA also saw Winky D, who also featured on previous editions of the festival, delivering yet another exhilarating performance but it was Winky D, again. Never mind his exceptional performance, there are other performers as well. For the international artistes, it seems the organisers can no longer attract new big acts, but are banking on the goodwill of yesteryear performers. These acts include Italian guitarist Andrea Valeri, Beatenberg, Freshly Ground, Tcheka and Sonic Wonderland, among others. Ever since the West abandoned its aggressive approach to regime change, it appears the decision has severely affected HIFA. Even non-governmental organisations (NGOs) that used to be very active in pushing the regime change agenda have scaled down operations in recent times while the West has gone back to the drawing board. HIFA is indeed losing steam.